In the age of the algorithm and overabundant streams, the mix might be more important than ever. Mixes can give us insights into tastemakers’ and producers’ imagination; they can be intimate and human at a time when so much of our music stream is faceless. But then, with so many mixes out there, who curates the curators? Meet a new feature on CDM, finding mixes across various genres. To kick off the series, CDM’s Zuzana Friday gives us her seasonal picks. The mixtape may have gone digital, but it’s no less relevant. -Ed. Spring is slowly arriving here in the northern hemisphere, and you know what that means: stepping out of our caves, shaking off the winter blues and in my case, at least, also exchanging heavy bass and banging techno for swaying beats, melodies, and vocals. So let’s tune in the spring vibe, and listen to these energizing mixes and podcasts with us to get fit and vital for the upcoming season. Okay, I’m cheating a little bit with this mix, but there’s nothing more recent than two years ago on Frankie Knuckles’ SoundCloud account, and I just can’t imagine having a spring mix without him. Another iconic figure of music, one of the godfathers of house, he recorded this very energetic mix with exploding hi-hats, groovy bass lines, and soulful vocals. Seriously, it’s impossible not to dance to this. So take the same approach to it as you would alcohol – be careful when driving on in the shower. Otherwise, feel free to jump to all four winds. And check out this interview by Fader accompanying the mix. Spring weather is not only about sunshine and singing birds, but also about overcast grey sky and rain. For those moments, I love immersing myself in deep, atmospheric house and occasional percussion, and letting the impression of timelessness take over my mind for a while. That’s exactly what you get from Preston-based DJ Cottam’s ‘Ruff Draft’, which he recorded for London-based events company and record label Warm. So take it out for jogging in the cold; it warms you up! On a similar note, listen to this really pleasant mix from London’s bloop. radio station. It was recorded by Vancouver-based producer Trulyors and includes a lot of his own material, which is focused on melancholic house with synth pad layers and slightly sinister bass. He describes his influences being “light & darkness, good & evil, that trace back to medieval times.” That said, I’d consider this mix to be perfect to listen to when banishing evil forces from your dwelling and invite the fresh vigor into your lives! Moderat, the project of Berlin’s Modselektor and Apparat, just released their third long-player on 1st April, and they created a mix for the occasion. It’s moody and volatile, like typical ‘April weather’ in Europe, when sun follows rain and hail follows cloudy sky. In this case, Answer Code Request follows Claro Intellecto and ADMX-71 follows Len Faki. According to Moderat, this mix “fits any situation—when you’re climbing a mountain, during a long car drive at night, when you run, or before you go out. We think it’s the perfect mix to give birth to.” So, consider that and enjoy! 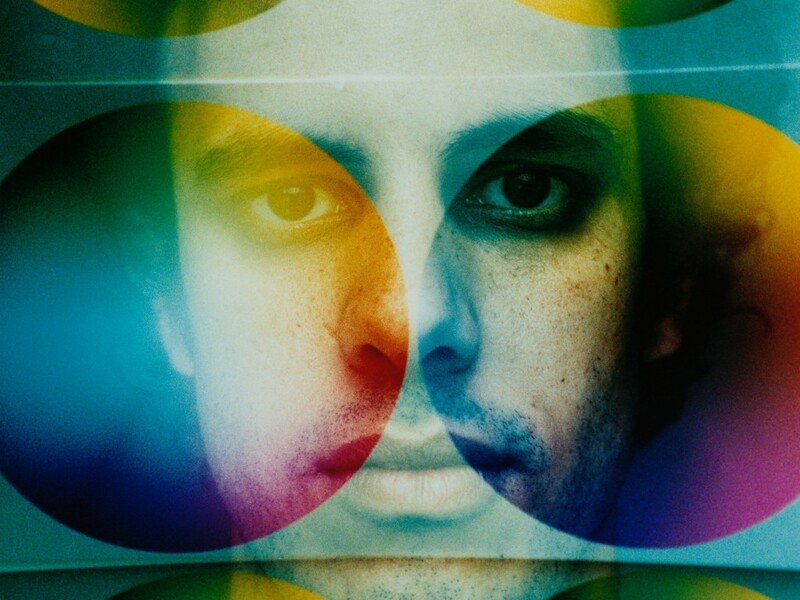 Four Tet was filling in for Benji B on BBC Radio 1 recently, and created an outstanding three hour podcast including some rare and unreleased gems. There’s a great percussive track by Pearson Sound, the uplifting Kool FM edit of ‘God Made Me Phunky’ by Mike Dunn, and a brand new track, ‘Rings in the Coffee,’ by the new collaborative project Trouble Knows Me. (That duo is formed by Madlib and Sam Herring of Future Islands.) The podcast floats through many genres, from hip hop and techno to house, dubstep, bass and grime – check out the whole tracklist and listen to the mix through the end of April via the link below. Four Tet’s own new track, which keeps exploring Indian influences after last year’s Morning/Evening record, is just a cherry on top. Thanks, Friday. What mixes are you listening to? Let us know in comments.